Ahh Freshers’ Week. 24 hour booze-soaked partying, a new best friend at every bar and so many fancy-dress themed events that you forget what it’s like to wear your own clothes. Oh yes this will certainly be a week that you (don’t) remember. And with every single venue in the city hosting their own brand of student soiree, it’s hard to know exactly which way to turn. So that’s where we come in. Whatever your taste in nightlife, music or even booze, there’s something going on that will make this week memorable for you; we’ve compiled the best of the bunch. If cheap drinks, live bands and free entry sounds like your thing, look no further. Holding centre stage in the street that lends the venue its name, West Street Live’s historic pub frontage and high-quality sound system has served as a jumping-off point for countless Sheffield bands. No need for freshers’ deals here as they have discounts and offers each and every night. Trust us, this will be a staple of your Sheffield student life. Part diner, part pool bar, pop upstairs above the Forum and enjoy the American-style Common Room. With an authentic pit grill BBQ menu, a range of drinks from both sides of the Atlantic and near enough every sport known to man shown on a massive number of HD screens, you’ll get more than your football fix here. Visit during Common Hour (5-8pm Monday to Friday and all evening Sunday) for extra-special drink offers. After 2014’s messy mayhem, the Academy will be kicking off freshers’ week on Sunday 20 September with their famous Welcome Paint Party, and following up with a massive headphone disco on Tuesday 22. 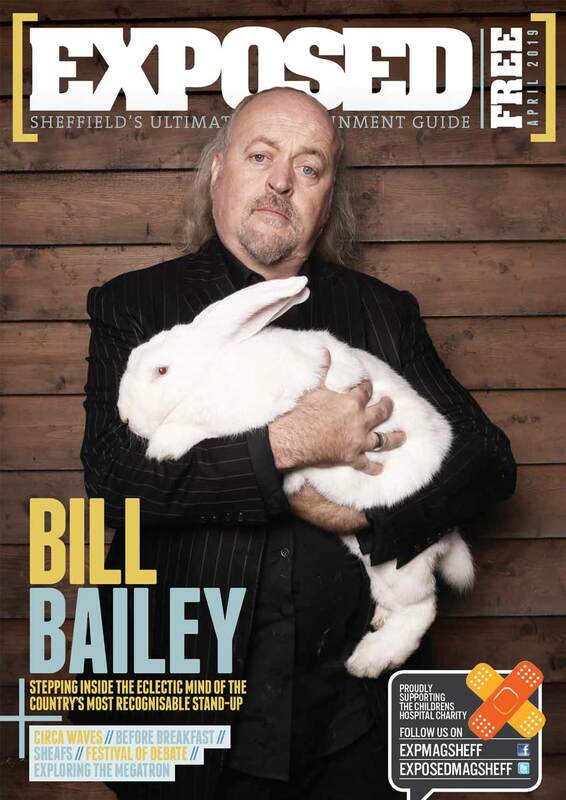 Since opening in 2008 to a party held by none other than Sheff’s own Reverend and the Makers and Jarvis Cocker, the Academy has forged a reputation as one of the city’s proudest venues for live music and club nights. Don’t miss the free Freshers’ Fair on September 23, with over 50 stalls on two floors offering myriad freebies and the stuff your university doesn’t want you to see! Other highlights include WU Tang Clan’s GZA on Friday 25. One of the biggest indoor venues in the city centre, the Octagon has a strong musical pedigree, having played host to Nirvana at the height of their fame, and dozens since. Head to tickets.sheffieldstudentsunion.com for a comprehensive list of freshers’ fun. Fresh from a complete refurb in 2013, the sparkling walls of Foundry and Fusion stand ready to receive a new intake of eager freshers. Located in the Students Union, Foundry and Fusion will be hosting a vast array of club nights through freshers’ week, including not one but two editions of the non-stop retro pop extravaganza that is Pop Tarts. So well regarded are the twin venues that when the Union tried to rename them back in 2013, students turned out in droves to protest the change. Home to the famed Tuesday Club, this award-winning night is an absolute must. Come and meet TV legends Chris and Stephen as they come and pay Climax a visit on the 18th September! 2 Rooms of Retro Music: In Room 1 expect DJ Dave Hunter to spin all the nostalgic tunes from your childhood and beyond, spanning from the 00s, 90s down to late 80s. With the likes of the Spice Girls, Darude, Take That, House Of Pain, Blink 182 and so much more, you won’t be able to keep your face from smiling or your hips from moving. Also listen out for the ‘Back To The Future’ feature – the future sounds of Pop Tarts played now! While in Room 2, the legendary Chris Arnold continues smashing all the golden hits from the 50s, 60s & 70s. Expect to hear all the hits from the Beatles, Jackson 5, Journey, Bobby Darin, Diana Ross and the rest! Pop Tarts has them all! The Freshers Beach Party is a staple to Freshers Week, selling out every year to the thousands of students who know that the best way to settle in is with a night out! This year, with a Thai Twist, so expect UV body Painting, Bucket Cocktails, Scorpion Eating Competitions and more Full Moon Madness. Plus get a free UV T-shirt with every ticket, so you don’t have to worry about what to wear! Time for you and your new flatmates to party, American style! Experience an American College Frat Party as you drink from red cups, enjoy the free popcorn and snap a few of those timeless first group photographs in the free photobooth! Get to know your fellow first years as you enjoy a Freshers Party like no other! The Tuesday Club returns after the annual summer hiatus with a season ram packed with exclusive appearances, TTC debuts, and the return of some hardened favourites! This week we bring you a bumper line up with all genres of music being represented, we want to show what you TTC is all about – We Are The Tuesday Club! One of the most anticipated nights of the year, the ROAR & Mischief Animal Party is where Sheffield Students go wild! The theme is simple: animal fancy dress! So grab some face paints and practice your best growl for the first of the very best student Wednesday nights in Sheffield! With all the best chart and party anthems at ROAR in the Foundry, and Mischief’s ‘anything goes’ request party in Studio and Fusion every Wednesday, you’ll be truly spoilt for choice. Silent Discos are an absolute student favourite! Sing along to your favourite tunes and forget that when you take your headphones off there is no music! Plus you can choose what music you listen to, with our two DJ’s battling it out for listeners you can pick your station, without leaving your mates. Freshers Week Friday brings you a night like no other. Foundry, Fusion and Studio become House Fresher for one night only at this Game of Thrones themed club night. Plus joining us on the night is Game Of Thrones actor ‘The Mountain’! He’s ready for a meet and greet with you and your new uni friends! So come down and have your picture with the 6ft 9 in, 400 pound knight. That is definitely profile picture material! The mack daddy of Carver Street late-night revelry, this award-winning venue offers a glamourous and contemporary clubbing experience. The stylish upstairs bar is kitted out with VIP lounges and booths and offers the perfect excuse for a classy cocktail and boogie. For the real party people, the downstairs room offers an underground clubbing haven with different nights showcasing DJs spinning everything from deep house to indie classics right through to the early hours. The student population are more than catered for with a range of mid-week nights, including the illustrious Risqué Tuesdays – undoubtedly one of the most popular nights out in the city. Get yourself down to Viper Rooms on Tuesday September 22 to sample the decadence that is Risqué. Those who have 9am lectures on a Wednesday, you were warned. Situated right in the heart of the city centre, Crystal was built around the old Cutlery and Scissor factory. A small yet exciting and energetic club with great nights ranging from ‘80s Motown classics on a Saturday to the new big student night Jelly Baby on a Thursday night, this eclectic club has it all. Set your wild side free on Monday September 21, Crystal’s Habitat Zoo Party is not to be missed! Based in a transformed old tram shed thirty seconds off West Street, this Havana-inspired bar brings the finest Latin food to the heart of Sheffield. Rum is the order of the day, with an admirable range of rum-based cocktails on offer. But don’t despair, if that’s not your thing, there are plenty of alternatives on offer, and regular salsa lessons mean entertainment is easy to come by. Head to Revolucion De Cuba on Sundays for 2-4-1 cocktails, tapas and desserts, and all you can eat Tacos on Tuesdays. Guilt free eating out, sorted! Getting ‘Corped’ for the first time has become something of a rite of passage for those studying in the Steel City. In fact, whether you pass your degree or not, you cannot seriously claim that you’ve been a student in Sheffield without experiencing a Corporation Skool Disco. Here you will discover ‘Corp Juice’ – an unknown sticky substance which clings to clothes after a night out – as you try to navigate the labyrinth maze of rooms and stairs, all of which offer a new genre of music from heavy metal to hip-hop. Free Entry with NUS before 11pm up to 19th October. 10pm – 10.30pm – £1 entry. Queue Jump tickets £3 from The Cavendish, The Frog and Parrot, Truth Or Dare Inc, The Springvale Tavern. Cheesy pop and chart anthems. £3 entry between 10.30pm – 12am in white shirt and tie. Queue Jump Tickets – £3 from The Cavendish, The Globe, The Hermitage, The Springvale Tavern, The Frog and Parrot. Queue jump tickets – £4 from The Cavendish, The Frog and Parrot, Truth Or Dare Inc, The Springvale Tavern. ‘The Washy’ is something of a legend around these parts. Known as the spiritual home of Sheffield’s music scene, the close quarters of this pub have seen many a Sheffield legend pass through, from the likes of Pulp to intimate gigs from Wet Nuns. This live music/late-night party haven is a little off the beaten track, but well within stumbling distance of Division Street. Each week, The Washington sees cutting edge bands and left of centre DJs serving up good times and party sounds until the early hours of the morning. Soak in the last rays of summer with the Forum’s al fresco terrace overlooking Devonshire Green, as you feast on the ever changing menu (which always includes a good number of local favourites for good measure) and make the most of the enviable choice of cocktails, wines, beers and more. And while you’re in the area, why not drop in on the boutiques next door? You’ll be hard pressed to find so many quality independent shops in one place anywhere else in the city. The very best in 90s, 00s and current house, pop, soul, funk and more. Floor-fillers to shake your booty and sing like Beyonce to! Despite its name, this place was once a flour mill. The Leadmill as we know it began its life back in 1980 where it played host to creative ventures and local musicians. Since then it has welcomed the likes of Coldplay, Arctic Monkeys and The Killers to its stage and has been voted Best Live Music Venue by NME readers several times. 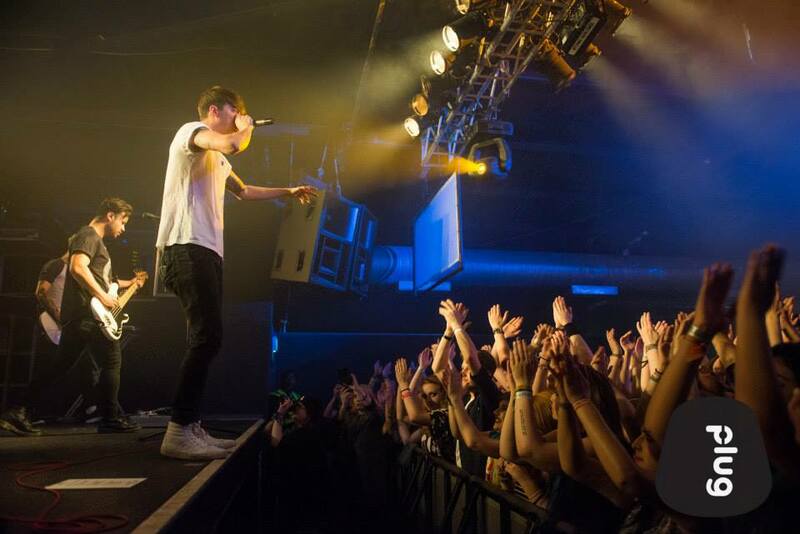 If that’s not enough, the Leadmill hosts some of the best student nights around. We’ve got gallons of UV Paint waiting for your messiest Freshers night out! 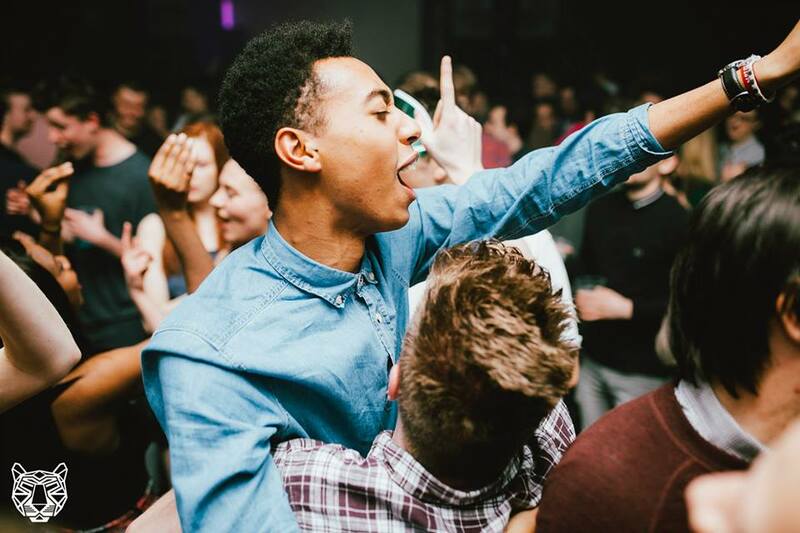 Join us every Monday for LOADED – Sheffield’s home for House, RnB & Indie all under one roof. £1 Vodka mixers with our new regulars card! Drink the market dry at the launch of our brand new night! Anthems + Floor Fillers all night long with drinks falling as low as 50p! 2 headphone channels to switch between your favourite Indie Anthems, House & RnB tunes, there’s something for everyone! More than just your average Silent Disco! The GUILTIEST pop tunes from across all decades & no better place to throw your best dance moves! Expect confetti cannons, balloon drops, disco balls, face painting, explosions…we’re pulling out ALL the stops! Sheffield’s busiest & best student night is throwing a MARDI GRAS CARNIVAL! Celebrate until the early hours with the biggest Indie Anthems and Old School Hip Hop & RnB classics! This will definitely be a night to remember! Only the finest Indie, Rock and Alternative for all the music connoisseurs out there, plus a vintage mashup of Motown, Northern Soul & Rock’n’roll to get you dancing! A quirky fixture of West Street for some years now, the Wick brings such a range of cocktails, specialty ales and beers that it’ll probably take a few visits to discern your favourites. They also rope in some of the city’s best DJs and live music. You’d be forgiven for thinking it’s a mere bar, but the food, particularly the Sunday roast, is also worth checking out. Day or night, you won’t be disappointed here. The Mecca of Sheffield clubs, Plug is a definite student favourite. With three rooms, a 1200 person capacity and a mix and match of genres, it’s easy to see why. Check out Bonkers on a Thursday, a cheery mix of pop, disco and dance complete with free glow sticks, rock ‘n’ roll party Propaganda and Plug’s famous Saturday night party. With vodka mixers from £1, it’s a great place to go for a good time without breaking the bank- or flittering away your student loan. Glamorous indie rock ‘n’ roll! Featuring two incredible rooms of music, insanely cheap drinks offers and a whole host of audiovisual treats, there’s no denying that the weekend starts at Propaganda! Room 1 brings you all your current and classic indie and alternative favourites, while Room 2 is your one stop shop for pop, party and dance! BCM WORLD TOUR – FRESHERS RAVE! The world famous, multi-award-winning super club BCM will be transporting itself to Plug for the OFFICIAL Freshers’ Opening Party and BCM Reunion! Expect absolute carnage on the opening night as BCM bring their full club decor, DJs, stadium confetti cannons and unbelievably huge CO2 jets into Plug just for you. Established in 2008 at the infamous and now shutdown 3000 capacity railway arch nightclub SE1, F*CK ME has for the last 7 years been by far THE BIGGEST and we mean THE BIGGEST & most hyped freshers event to hit this island we call the UK! We normally sell out in advance normally before freshers has even started so getting your tickets is ESSENTIAL! A huge freshers party where everyone dresses up as their favourite ANIMALS! LOL, YES WE ARE SERIOUS! Imagine 1000+ students all dressed up as their favourite animals going absolutely f*cking mental on the dancefloor! Facemasks // Onesies // Costumes // Headpieces // GO CRAZY – ANYTHING GOES! Mischief. Music. Mayhem. Spanked has got it all and more. Expect floor filling tunes, unbelievably cheap drinks, CO2 blasts, glitter cannons, pyrotechnics and a massive outside terrace. There’ll be a whole host of freebies on offer too from candy floss and UV face and body painting to glowsticks, shutter shades and t-shirts. Your Thursday night party has landed and it’s bigger, better and even more BONKERS! Have a smooch in front of the Bonkers Kiss Cam, get your face painted UV style and munch on a pizza cone! Expect t-shirt giveaways, glitter cannons, stacks of free glowsticks and ridiculously cheap drinks. Sheffield’s best nightclub brings you the biggest party of the weekend. Expect a massive soundsystem, mind-blowing lighting and amazing visuals, all wrapped up with the greatest dancefloor beats. It’s as simple as that. Plug Saturdays. Over the past six years The Icebreaker has become a tradition, a rite of passage between life as you know it and university. Over this time, we’ve been responsible for over 100,000 hangovers, 500,000 empty drinks and… uh… a lot of smooching. Signed on the back of their frantic celeb-drawing R&B-fuelled live shows, teenage foursome The Strypes have progressed beyond their cover-filled sets to produce their own material. Indebted to their three-chord influences, the Irish act’s short, sharp songs are frenetic and faithfully redolent of the staunch ’60s UK R&B boom that bore The Yardbirds and the Stones. Mischief. Music. Mayhem. Spanked has got it all and more. Expect floor filling tunes, unbelievably cheap drinks, CO2 blasts and a massive outside terrace. There’ll be a whole host of freebies on offer too from candy floss and UV face and body painting to glowsticks, shutter shades and t-shirts. And if we think you’re wearing the bestest fancy dress we’ll give you a lovely bubbly bottle of Champagne! Be there or be the most commonly known quadrilateral! Once a disused warehouse, DQ opened as a completely independent club space in 2004. The club regularly plays host to an eclectic array of club nights from funk to indie to house. DQ stays open way past its neighbours, but its prices remain cheerfully low. You’re students after all, why opt for champagne when you can have 3 for £6 Jagerbombs? If pounding bass and flashing LED lights are your thing head over to Tank. 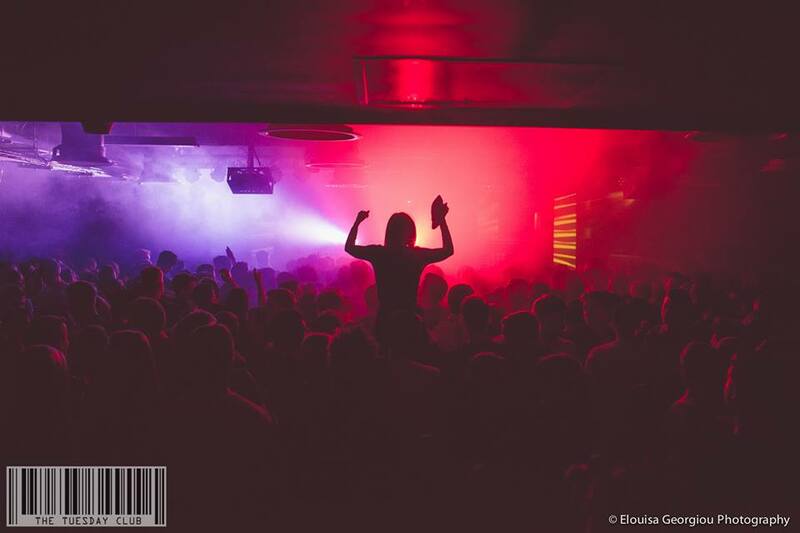 Sheffield’s biggest underground house nightclub regularly plays host to popular student nights Sunken, Session and Creation complete with weekly special guests and resident DJs. With entry prices from as little as £1, you need no excuse to rave the night away at Tank. First Sunken of the academic year, get involved in the very best in house music from resident DJ James Barra. House. Mash Ups. Beats. Sheffield Parties teams up with Tank. Long-standing Carver Street favourite Walkabout recently re-opened its doors after a mammoth £1M refurbishment. The re-vamped venue blends old and new, contrasting the organ and pulpit with brand new supersize screens catering to sports fans. With a fresh food and drinks menu, Walkabout is a great option for a quick coffee, lunch or a chilled out afternoon with your nearest and dearest. Don your flip flops and re-live the Summer at Walkabout’s Life’s a Beach Party on Tuesday September 22. Ideally placed at the intersection between West Street and Carver Street, Maida Vale is the place to go if you’re after live music. With 2-4-1 cocktails on offer you’d be daft to miss out! Maida Mess is back on Wednesday September 23, with stage games, cheap booze and free entry all night. Located in the Sheffield Hallam Students’ Union building, Bar Phoenix offers some of the best food and drinks deals on campus. On Wednesdays Bar Phoenix is the official pre-bar for Hallamnation. Last year 6,000 students queued around the HUBS to get into the Freebies Fair with the promise of free pizza, competitions, photo booths and freebies galore! This year is going to be bigger and better as the Students’ Union unveils the building refurbishments that have been happening all summer. The pub quiz is infamous amongst Hallam students. This is your chance to meet all of the Students’ Union student lead societies, with performance to course and vocational societies and political to faith and belief societies there is something for everyone. You can also find out about getting involved with the student magazine and radio station and fundraising for charities with RAG (Raise and Give). A night of chilled out acoustic sounds from some great local acts. The pride starts here! Take your first step to joining Team Hallam with over 40 sports clubs for you to choose from, it doesn’t matter if you’re in it to win it or playing just for fun there is a club for you. We welcome players and athletes of all abilities so come down and have a chat to all of the sports clubs. Starting with The Exchange in Bar Phoenix, a drinks stock exchange with prices rising and falling depending on what’s bought and sold, before heading to Hallam Nation the official Students’ Union club night in one of the best venues in the city. There are many ways you can volunteer; join a student led volunteering project, volunteer for a local charity or organisation or if you are short on time join in with one of the many one off volunteering challenges run by Sheffield Hallam Students’ Union. Find out more at the Volunteering Fair. Live comedy from our very own Improvisation & Comedy Society. We will be bringing all the best bits of the week’s fairs up to the Heart of the Campus building at Collegiate Campus to make sure you don’t miss out! We’ve also got a free BBQ so you can get fed while you’re there, what’s not to love? The Sell Out Multi Venue Welcome Party Is Back For Another Year! Expect Zoo FANCY DRESS, face painting for all, crazy animals, wildlife photographers, and MORE!! Freshers Week Starts Here! Two rooms of pure madness with a state of the art sound system and incredible lighting! Your weekly student Monday night destination is sorted! Room 1♫: The best in RNB, Hip Hop, Urban & House// Room 2♫: House Music all night long! House. Mash Ups. Beats. Sheffield Parties teams up with New York Metro Inspired Tank Nightclub. Tank is not a venue to be reckoned with boasting its unique LED ceiling lighting system, Funktion-One Sound System and outstanding levels of production. Adding to that our first rate DJ’s in this underground bunker and this is not a night to be missed! Welcome to LOST CITY – Carver Street’s Weekly Mass Gathering of the Young, the Restless and the Rebellious. At Lost City we believe that variety is the spice of life. Why settle for one venue & one music policy when every THURSDAY you can try FIVE VENUES in ONE NIGHT? With an eclectic mix of Six Music Policies spread across The Viper Rooms, Crystal, Paris, Walkabout and Beg Borrow & Steal, Lost City is the #1 Student Destination EVERY THURSDAY NIGHT. The best in HIP-HOP & RNB from past + present!! Old Skool Vibes and Old Skool prices…100% Booty 0% Disappointment. This is the number 1 Friday night in Sheffield + 90p BOMBS! OK, so imagine a massive roller skate arena, this is Olympic size!! Add students from University of Sheffield and Sheffield Hallam. Combine with Sheffields finest DJ’s and best drinks offers… Welcome to the FRESHERS ROLLER SKATE EXTRAVAGANZA!! TWO Universities COLLIDE head to head in what is set to be the BIGGEST, most MONUMENTAL climax of Freshers Week 2015! 10 Venues, 2000+ Students… The University of Sheffield and Sheffield Hallam… grab your T-shirts… THIS IS IT!